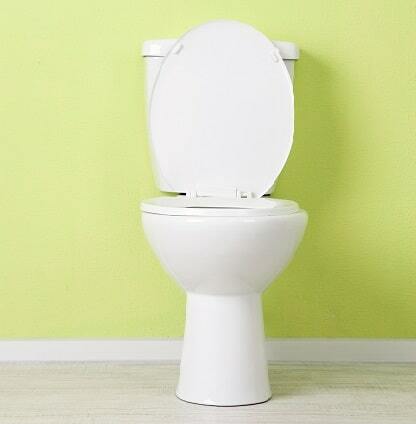 It’s one of the most common and annoying problems a homeowner can experience, a slow-flushing toilet. Nothing worse than a toilet that won’t get everything down the first time. Well, there is, but that’s another topic. So it’s probably clogged up right? Well, maybe, maybe not. There are a few other things that can cause a toilet to run slow. It could be a maladjustment of the flushing mechanism, a poorly vented line, a blocked waste pipe (clogging), or a restriction in the water flow between the tank and the bowl. A plumber can fix this problem easily and quickly, and at a fair price. But if you’re handy at all, you can troubleshoot and solve this problem yourself. Here’s a plan of attack to get that toilet up and running again, pun intended. If one step doesn’t work, go on to the next. First make sure it’s not just clogged. Go at it with a plunger that fits well over the waste drain. This will usually do the trick if it’s just toilet paper or the plush Pokemon toy your child flushed down it. If not, you may have to purchase or rent a toilet snake. Listen for gurgling from the drains in the sink and tub. This is a sign that there’s not enough air in the lines to allow free water flow. Go onto the roof and make sure your vent is free of debris. If it’s still blocked, you may have to use a snake on the vent pipe. Ensure that water is flowing freely between the bowl and the tank. To do this, take off the top of the tank and flush, watching the flapper that allows the water to escape on the bottom of the tank. It should rise up almost vertically. If it doesn’t, it’s probably keeping the water from draining quickly enough. Adjust the chain to remedy this. Take note of the level of the water inside the tank. When the tank is full, it should be about an inch below the overflow tube. Lower than that and there’s not enough water for a good flush. You’ll need to adjust the float so that the fill valve operates longer. Check the water holes around the inside rim of the bowl, where the water comes out during a flush. These can easily get clogged with mineral buildup, especially if you have hard water and/or an older toilet. If it’s still running slow, then there might be something solid stuck in the trap, like a metal toy, and you’ll probably have to remove the toilet to get it out. It’s also possible that roots have grown into the sewer lines that run out into the yard. That’s a more serious problem that requires a professional. 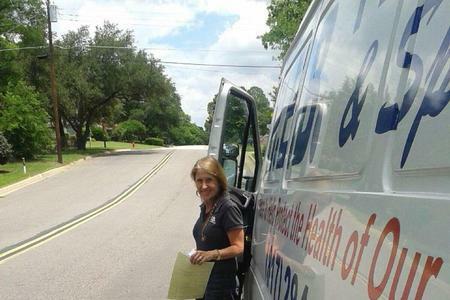 For help with a slow toilet or any other plumbing problem, contact HEB Plumbing & Sprinkler-Kathlyn Smith today.